AstraZeneca/MedImmune hopes its immunotherapy combinations will help it catch up with leaders. The exciting new generation of immuno-oncology drugs, led by Merck’s Keytruda and Bristol-Myers Squibb’s (BMS) Opdivo have arrived, and is promising to revolutionise treatment for many different cancers. The two frontrunners are taking aim at melanoma first, but there is no doubt which is the biggest cancer killer, and potentially the most lucrative target: non-small cell lung cancer (NSCLC). Both Keytruda (pembrolizumab) and Opdivo (nivolumab) have made major strides in NSCLC in recent weeks, and look likely to secure approval in these patients in 2015. Some analysts forecast the new immunotherapy drug class could earn in excess of $30 billion in annual revenues across all tumour types by 2025, which would make them one of the most important classes in pharma. But no company has yet demonstrated its product is superior and, with no long-term overall survival data yet available, there is still plenty for the companies to contest. Lung cancer, so long one of the world’s deadliest diseases, could finally be in line for the kind of breakthrough seen in other cancers and other life-threatening conditions. This is thanks to the new wave of ‘immune checkpoint inhibitor’ (ICI) drugs, which promise to revolutionise cancer treatment by awakening the body’s own immune system to fight it. Cancer evades destruction by the body’s immune system by using a variety of ‘cloaking’ mechanisms – immunotherapy drugs block these mechanisms, allowing the immune system to identify cancer cell, and move in and destroy them. Keytruda and Opdivo are both checkpoint inhibitors which work by blocking the programmed cell death protein 1 (PD-1), a protein expressed on activated T-cells, the white blood cells which protect the body from infection and disease. Cancer cells succeed in turning off T-cells when PD-1 binds with PD-L1, a ligand expressed on tumour cells. By attaching themselves to the PD-1 site, Keytruda and Opdivo block the binding with tumour cells, allowing the cancer to be detected and attacked by the immune system. 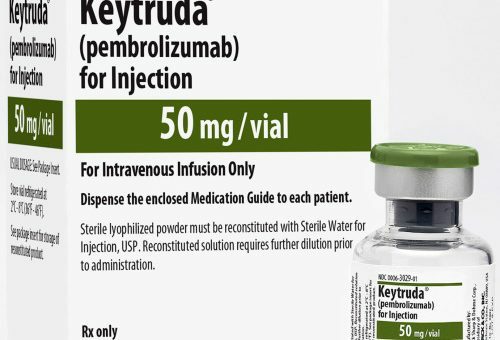 Merck has claimed first-to-market status, with US approval of Keytruda (pembrolizumab) in early September for patients with advanced or unresectable melanoma who are no longer responding to other drugs. BMS is not far behind, with its Opdivo (nivolumab) expected to gain approval within the next month or so, also against melanoma. It has been approved in Japan. AstraZeneca (AZ) and its biologics arm MedImmune, along with cancer specialist Roche (also having a biologics division in Genentech) are currently the most advanced in the chasing pack. AZ/MedImmune’s lead compound is MED14736 and Roche/Genentech have MPDL3280A. Both target the PD-L1 receptor on the tumour cells rather than PD-1 on the immune cells. The theory is that targeting the tumour cells instead of the T-cells has the potential for fewer toxic side effects – but there is as yet no proof if this is significant in the clinic. All of these late-stage drugs featured at the recent European Society for Medical Oncology (ESMO) cancer congress in Madrid, where immunotherapy in general played a starring role. The PD-1 and PD-L1 drugs are, in fact, just the tip of the iceberg in new immunotherapy approaches, and there are many more molecules using a range of different mechanisms to attack cancers. In the meantime, the rival companies are going as fast as they can to try out their molecules against a range of tumour types, and test novel combinations of drugs which might yield the best results. This means 2014 has seen a frenzy of new alliances and in-licensing in the field. Among the many pharma research leaders at the ESMO was Mohammed Dar, MedImmune’s VP Clinical Development for Oncology. MedImmune hasn’t been known for its oncology research, but it does have a heritage in vaccines, so this insight into the immune system could be carried forward into the new generation of cancer drugs. The company’s MED14376 is currently being accelerating into a multitude of trials. Most noticeably, it was moved into phase III clinical trials in NSCLC and Squamous Cell Carcinoma of the Head and Neck (SCCHN) in May this year. AZ/MedImmune are clearly lagging behind Merck and BMS in the field, but think their long-term strategy will pay off. “We have one of the broadest immuno-oncology portfolios, because we are the only company which has PD-1, PDL-1, CTLA4 and OX40, all agents currently in the clinic. Sitting in the warmth of the Madrid morning at ESMO, Dar outlined the AZ/MedImmune team’s belief in its pipeline of diverse immunotherapies, which includes drugs with four different mechanisms. This ‘broader applicability’ is already being pursued in a huge array of trials by companies active in the field; in addition to melanoma and NSCLC, there are trials underway in head and neck, pancreatic, ovarian, colorectal and many other cancers. Another key advantage of the immunotherapies is how long the drugs keep working (duration of response), with early signs showing that patients keep responding to them much longer, compared with existing treatments. Nevertheless, Dar points out that all the immunotherapy drugs are in early stages, and most of the combinations, including many in the AZ/MedImmune pipeline, are in early stage trials where dosing and safety are the focus. For AZ and MedImmune, the competition to see who can produce the best immunotherapy portfolio is especially important because they have a point to prove. That’s because AZ succeeded in repelling an unwelcome takeover bid from Pfizer in May this year, rejecting a $69.3 billion ($118 billion) merger. A sizeable number of AZ shareholders wanted to see the deal done, but a fevered public debate about Pfizer’s ‘tax inversion’ motives and the future of pharma R&D in the UK helped scupper the bid. The threat of Pfizer returning for another takeover bid appears to be receding now, but AZ must live with the after-effects of the episode. In arguing for its continued independence, the firm forecast stellar growth, promising investors a doubling of revenues to around $45 billion by 2023. This undoubtedly puts pressure on all parts of the company to perform, and perhaps its clinical development unit in particular, which has seen a string of late-stage failures drag down the company’s prospects over the last decade. Many analysts remain unconvinced that AZ can achieve the rapid turnaround, but after the near-miss with Pfizer, the company’s leaders are upbeat and energised. What’s sure is that the company’s future success depends heavily on its gambits in cancer, including lung cancer. In fact, the immunotherapy field has seen some of the most frenzied licensing and partnering of any therapy area in 2014. The message this year has been simple: if you are in oncology, you need to have presence in immunotherapy. While MedImmune claims to have the edge in terms of combining drugs within its own pipeline, neither it nor its rivals are holding back in terms of creating combinations with other people’s molecules via licensing deals. That’s because there is a consensus that the best results will be achieved not in using the new PD-1/PD-L1 drugs as monotherapy, but in combination of at least two drugs. These combinations will be with existing targeted treatments, as well as other emerging immunotherapy mechanisms. The promise of combination treatments is to hit the cancer cells from all sides, looking to exploit their weaknesses and boost the power of the body’s own immune system. Combinations could increase the anti-tumour response or allow similar activity at lower, and safer, doses of each component. One of the most obvious combinations of drugs is twinning a PD-1 or PD-L1 inhibitor with a CTLA4 inhibitor, another kind of checkpoint inhibitor. BMS’ Yervoy (ipilimumab) was the first CTLA4 inhibitor drug launched in 2011 for advanced melanoma, and represented huge progress against a tumour type which had previously seemed impossible to treat. One of AZ/MedImmune’s key data releases at ESMO was a phase I study of MEDI14376 in combination with tremelimumab in NSCLC. Tremelimumab has a history; the company acquired it from Pfizer in 2011 after it failed a phase III trial in melanoma. But there are signs that a number of drugs which have failed as monotherapy could see their fortunes reversed when combined with one of the new checkpoint inhibitors. A number of companies are investigating similar approaches, but of course it remains a gamble. “We are pleased with the results from MEDI4736 in combination with tremelimumab. While it is still early, with a limited data set, the tolerability profile is encouraging. The finding related to PD-L1 expression on the tumours is intriguing; it is logical to assume that only these tumours which express the protein would respond, but MedImmune’s findings suggest this is not the case. In short, this means that the drug could help even more patients than expected, and possibly work where other PD-1/PD-L1 inhibitors won’t. Despite these encouraging signs, reservations remain about this combination. The anti-CTLA4 drugs are well-known for generating severe side-effects in many patients, and analysts say this could limit the drugs’ usefulness, especially in combination. Data from a 39-patient trial of BMS’s Opdivo in combination with Yervoy produced some strong clinical responses in patients, but also some serious problems: there were three treatment-related deaths and 16 discontinuations due to side effects. MedImmune’s combination can only be a major success if it can avoid such severe side effects. Another emerging class of checkpoint inhibitors is the IDO (indoleamine 2,3-dioxygenase) pathway inhibitors. The pathway has been found to play a role in many different cancers, and drugs in this class are being developed by Incyte and NewLink Genetics. The rival companies have forged a number of alliances – indeed Incyte has sealed partnerships with all four of the lead players – Merck, BMS, AZ and Roche. The company has twinned its INCB24360 with each of the respective lead PD-1 or PD-L1s, including a number of trials targeting NSCLC. PD-1 and PD-L1s can be described as ‘brakes off’ drugs, because they work by releasing the immune system to do its work. Another, potentially complimentary, approach is where the immune system is accelerated or stimulated. Extending the automotive analogy, these are known as a ‘gas on’ mechanisms. MedImmune has one such ‘gas on’ molecule in its pipeline: an OX40 agonist named MED16383, which uses a co-stimulator mechanism. The drug is now in phase I studies as a monotherapy in patients with recurrent or metastatic solid tumours, and in another phase I study combining it with MEDI14736. But AZ/MedImmune isn’t the only company looking at such combinations. In May BMS announced a collaboration with Celldex Therapeutics to evaluate Opdivo in combination with varlilumab, another co-stimulator drug. The drug targets CD27 and will be investigated in early stage trials against multiple tumour types. The concept of using a therapeutic vaccine, combining cancer-associated antigens with an immune-activating compound, is another approach to tackling tumours. A variety of different platforms have been used, but have had underwhelming results so far. GlaxoSmithKline’s MAGE-3 targeting vaccine failed in NSCLC earlier this year, but there are a number of other approaches still being explored in trials. Among these is Merck Serono’s tecemotide (under licence from Oncothyreon). The treatment is an antigen-specific immunotherapy against MUC1, a protein found in many cancers, and is in phase III trials for NSCLC in a variety of settings. In September, Boehringer Ingelheim (BI) announced a new deal with CureVac to co-develop CV9202, a novel therapeutic mRNA vaccine, which is in early clinical development for the treatment of lung cancer. BI will start clinical investigation of CV9202 in at least two different lung cancer settings, in combination with its small molecule agent Giotrif (afatinib) in patients with advanced or metastatic epidermal growth factor (EGFR) mutated NSCLC and in combination with chemo-radiation therapy in patients with unresectable stage III NSCLC. There is also plenty of research into combining small molecule cancer treatments with the new biologic immunotherapies, and not least in NSCLC. AZ has a long heritage in oncology and Iressa (gefitinib) was the first targeted small molecule therapy for NSCLC. The drug targets patients with the EGFR mutations, and now competes with Roche’s Tarceva (erlotinib) – but in truth the benefits of the drugs for patients have been limited. AZ is looking to learn from the relative failure of the EGFR targeting drugs and wants to produce a more effective second generation. The company’s AZD9291 is that second generation: a highly selective, irreversible inhibitor of both the activating sensitising EGFR mutation (EGFRm) and the resistance mutation T790M. AZ is also investigating combinations of AZD9291 with MEDI4736, and with other pipeline drugs selumetinib (small molecule MEK inhibitor) and AZD6094 (small molecule MET inhibitor) in NSCLC. Roche is conducting similar trials of its PD-L1 drug MPDL3280A with its EGFR-targetting drug Tarceva. Not having its own presence in this field, BMS announced a new partnership with Novartis to undertake clinical trials combining Opdivo with targeted therapies against ALK, c-MET, and T790M for NSCLC patients. Three phase I/II clinical trials will be launched exploring nivolumab in combination with the targeted therapies. In the first study, nivolumab will be combined with the ALK inhibitor ceritinib (Zykadia). In the remaining studies, nivolumab will be explored with the c-MET inhibitor INC280 and the EGFR T790M-targeted therapy EGF816. Lung cancer is the most common cancer worldwide, and also the biggest killer – responsible for 1.59 million lives lost in 2012, nearly a fifth of all cancer deaths. Non-small cell lung cancer (NSCLC) accounts for 80-85 per cent of these cases – with most of these likely to have been caused by long-term smoking. The five-year survival rate for lung cancer is one of the worst among cancers, and over half of people with lung cancer die within one year of being diagnosed (Source: NIH). This makes NSCLC a huge area of unmet medical need and, consequently, a huge market for any pharma company which can develop a breakthrough treatment. Progress has been very slow against NSCLC in recent years, with the latest drugs adding only a few months to life, and then only in patients with certain sub-types of tumour. Non-small cell lung cancer immunotherapy – who will be first? In terms of the race to have the first immunotherapy monotherapy approved for use against NSCLC, BMS is the clear leader, with Merck snapping at its heels. BMS has the edge with Opdivo, and its profile has been boosted by newly presented phase 2 study which shows very impressive results in squamous NSCLC. The company presented the data on 31 October data from its phase 2, open label Checkmate -063 study, which showed the drug produced a one-year survival rate of 41 per cent in patients who had progressed after treatment with two prior therapies. Median overall survival was 8.2 months in the trial, which involved 117 patients. The company has been undertaking a rolling submission with the US FDA for the drug in third-line pre-treated squamous cell NSCLC, and expects to complete the submission by the end of 2014. In Europe, it has submitted data from the phase II study of nivolumab in third-line pre-treated squamous cell NSCLC to the EMA, and a decision is expected in a similar timeframe. Overall, the data suggest the drug could be a major advance, and could extend the lives of patients with NSCLC, but this will only be confirmed in Phase 3 trials currently underway. Nevertheless, Opdivo now looks odds-on to be approved for NSCLC patients in 2015. Meanwhile, Merck’s Keytruda was granted Breakthrough Designation Therapy status for use in non-small cell lung cancer (NSCLC) on 26 October. The special designation is for Keytruda in patients who have neither of two genetic mutations – those who are Epidermal Growth Factor Receptor (EGFR) mutation-negative, and Anaplastic Lymphoma Kinase (ALK) rearrangement-negative non-small cell lung cancer (NSCLC) whose disease has progressed on or following platinum-based chemotherapy. This means Merck is targeting the larger group of NSCLC patients who won’t benefit from these existing drugs. These non-EGFR, non-ALK positive patients have had no new drugs launched for them in recent years, and consequently the prognosis in this cohort remains bleak. So far, Keytruda is the only PD-1/PD-L1 drug to gain the breakthrough status in lung cancer. Merck succeeded in leapfrogging BMS for approval in melanoma in the US, and this latest development will ensure that the NSCLC race to market is as equally tight. Despite the understandable optimism of all the frontrunners in the field, there remain numerous obstacles to these drugs becoming blockbusters. Among the issues, three stand out: the need for companion diagnostics, the need for proof of extended survival in patients, and the thorny issue of high cost. Although the new checkpoint inhibitors can be used across a broad range of tumour types, patients whose tumours carry high levels of PD-L1 are likely to be the ones which respond best. The good news for NSCLC is that PD-L1 expression is more common in this disease than other tumour types – with 35-95 per cent of patients having it, compared to no more than 25 per cent of renal cell carcinoma patients, for example. Currently, each of the companies in the field is developing its own assays to test for the marker, meaning that there is no standard, low cost and rapid way of testing as yet. Secondly, there is very little mature overall survival (OS) data for any of these drugs, so it is currently impossible to quantify just how valuable they will be for extending lives, and improving the quality of those lives, compared to current treatments. Closely related to this question is the high cost of the drugs. Merck’s Keytruda cost $12,500 a month in the US, and the company says the median usage is 6.2 months, adding up to $77,500. However, as many patients are showing long-lasting responses, the costs may be greater; a year’s worth of treatment would cost $150,000. When one considers that Keytruda and all of its rivals are to be combined with other new drugs – as in the case of MEDI14376 and tremelimumab – the cost will be even higher. This year has seen the question of drug prices rising to the top of the healthcare agenda, and it seems likely that pharma will eventually be forced into a pricing re-adjustment – something that will impact the viability of the new treatment combinations now in the pipeline. 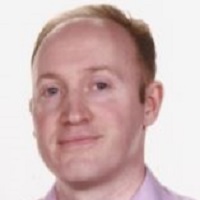 Commenting on the emerging field, Colin White, lead analyst at Datamonitor Healthcare said: “It looks like BMS and Merck are going to do well, because being first to market within this field is significant. Everyone is looking for signs for which one of these drugs is going to emerge as the winner, but it is simply too early to tell. Despite the pricing pressures and intense competition, immunotherapy looks set to transform cancer treatment. The drugs and drug combinations which emerge as the best in extending cancer survival and improving quality of life – especially the current death-sentence of NSCLC – will see their innovation rewarded by healthcare systems. Have your say: Are researchers right to be optimistic about these new treatments for lung cancer?